Fans are currently celebrating Tom Holland's very welcomed addition as Spider-Man to the Marvel Cinematic Universe. He wasn't a main character in Captain America: Civil War, but he was surely the standout and now everyone is waiting for Spider-Man: Homecoming next year. We are now one step closer to the movie becoming a reality as Homecoming looks like it has started production and has also added several new cast members. Firstly, The Hollywood Reporter announced today that Spider-Man: Homecoming has added three new and young cast members to the growing ensemble. Newcomers Isabella Amara, Jorge Lendeborg Jr. and J.J. Totah. have all joined Holland for the movie, presumably as classmates for Peter Parker. No character details were revealed for any of these new cast members. These additions are continuing with the trend of Marvel looking to diversify Homecoming, as Lendeborg and Totah are helping to make the movie less whitewashed than other MCU movies have been accused of being. These announcements come in addition to the recent additions of Donald Glover, Martin Starr and Logan Marshall-Green. Director Jon Watts recently talked about Spider-Man: Homecoming in an interview with The Daily Beast and the casting choices that have been made so far, saying that since Parker lives in Queens, New York it only makes sense that the cast would be diverse. "Peter Parker goes to high school in Queens, and Queens is one of-if not the-most diverse places in the world. So I just wanted it to reflect what that actually looks like." In addition to the new casting announcements, it also looks like Spider-Man: Homecoming has officially started production. Though Marvel didn't make an official announcement, Tom Holland did share an Instagram post today that all but confirms production is underway. 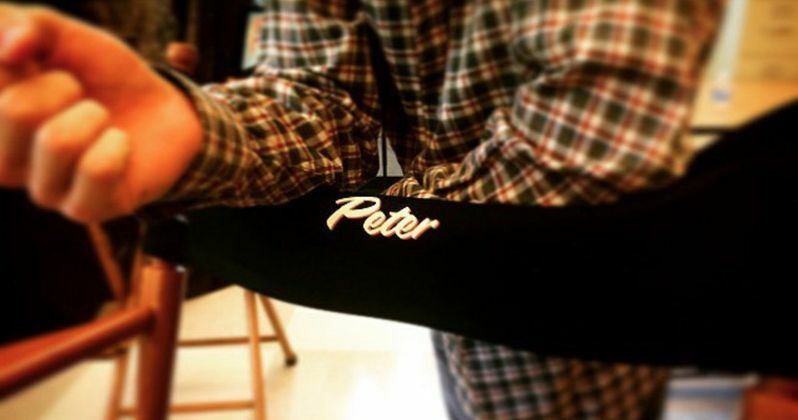 Holland posted a photo of himself leaning on a chair labeled "Peter," saying this. "First day on the job and I already got my chair! #SpiderMan:Homecoming." It was definitely cool for fans that Holland made the announcement, but the name on the chair put it over the top. Fans have been waiting a very long time to see Spidey make his way to the MCU, and for a long time it looked like Sony was intent on doing things their own way. Luckily for us, Kevin Feige was able to work his magic and cut a deal that allowed for the character to be part of The Avengers at Marvel Studios. Homecoming will be taking place entirely in a high school setting, which is why much of the cast members are very young. In addition to the recent casting announcements, Holland will be joined by Oscar winner Michael Keaton in an as of yet unannounced villain role, Robert Downey Jr. as Tony Stark, Marisa Tomei as Aunt May, Kenneth Choi in an unspecified role and Zendaya as a character named Michelle. Spider-Man:Homecoming lands in theaters on July 7, 2017.